Train harder, perform better and recover faster! 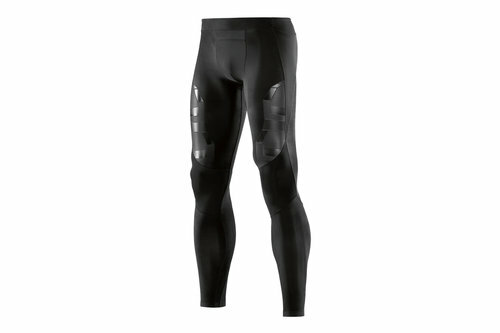 SKINS A400 Mens Compression Long Tights help support your quads and hamstrings. Softly constructed from nylon and elastane for optimal dynamic compression of your powerhouse leg muscles, controlled pressure is also applied to the Achilles tendon, ITB and TFL muscle groups which are at more risk of injury when running. With enhanced performance and less risk of injury, you can tackle any action with confidence and in great comfort.